Anyone else worried about ruining their new year’s health goals with all the deliciousness and chocolate at Valentine’s Day? Have no fear! 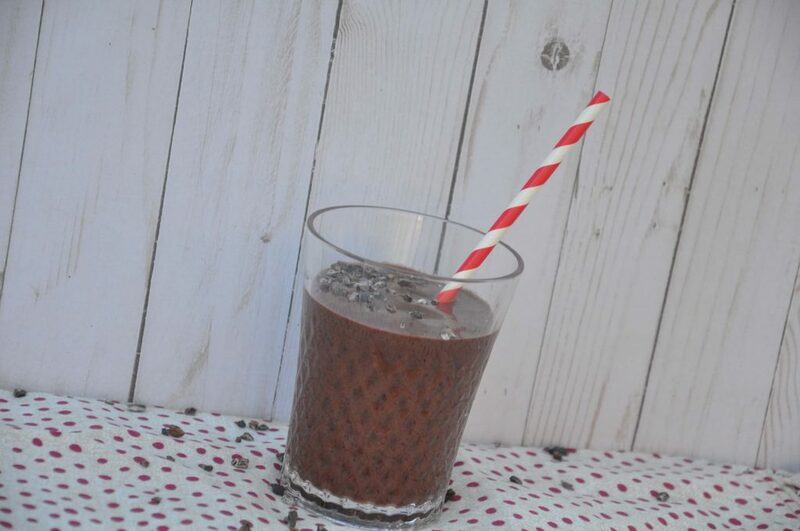 The totally paleo, healthy, energizing Chocolate Covered Cherry Smoothie is here! It’s fast and easy and so delicious that you won’t feel like you’re missing out on anything. Rich chocolate indulgence, here we come. A few simple ingredients make this a great way to enjoy your chocolate covered cherry flavors without any guilt at all. This recipe is Paleo, vegan, and will soon become one of your go-to smoothie recipes. Seriously. I made it a few weeks ago and my kids have asked for it several times since then. And it uses stuff I typically have on hand. Frozen cherries make this doable in winter and also make it more economical. 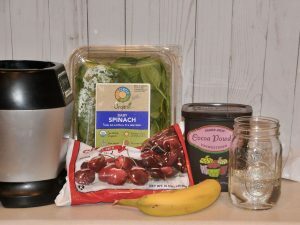 For one large smoothie (or two smaller ones), I use half a pound of frozen cherries, a large handful of fresh spinach, 2-3 tablespoons of cocoa powder (start with two and see if you need it more chocolatey), 1 banana, and just enough water to get it to the consistency I like. That’s a personal thing. Some people like their smoothies runny. I like mine more like a milkshake. I just use water here, but you can use nut milk if you want a creamier texture. Personally, I find the banana makes it creamy enough so I stick with water. And that’s it! 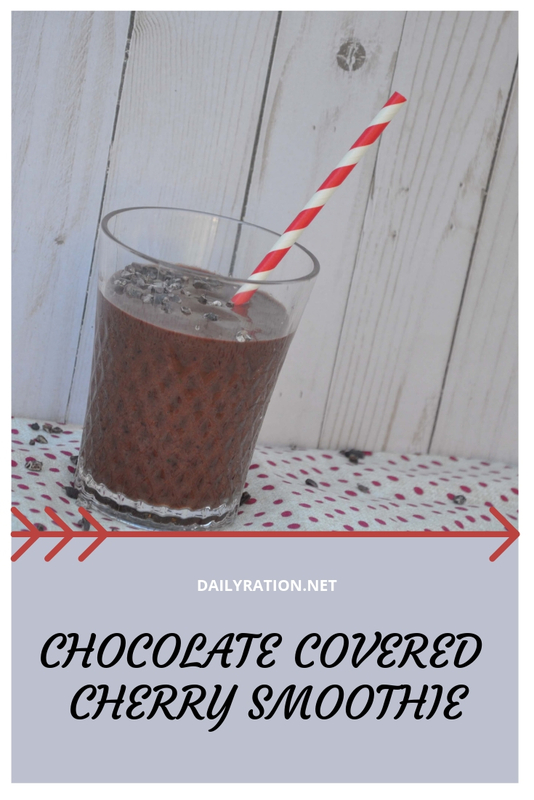 Blend it up in your blender or smoothie maker and enjoy! I make several of these at one time and freeze them in mason jars (individual servings). If I plan them for breakfast, I pull one out and put it in the refrigerator at night. In the morning all it needs is a quick shaking of the jar and it’s the perfect consistency! What are you doing to stay healthy this Valentine’s Day? Let me know in the comments! 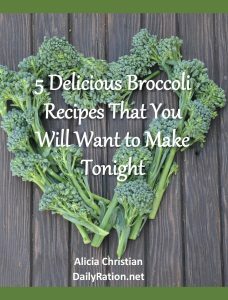 Don’t forget to grab your free recipes from broccoli download in the sidebar! Paleo and vegan, a great way to boost your immune system with the delectable flavors of a chocolate covered cherry. Enjoy Valentine's Day indulgences without any guilt. Place all ingredients except water or nut milk in a blender or smoothie blender and blitz it up. Add water or milk a bit at a time to adjust to your desired consistency. Enjoy! Yum! I will be trying this! !